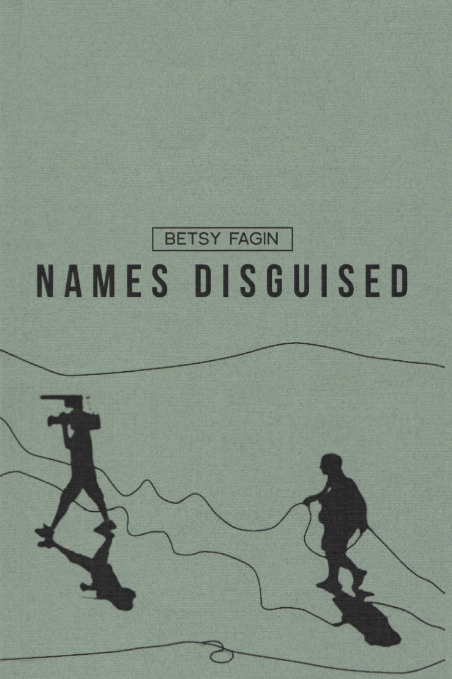 There is something about Betsy Fagin’s poetry that snags me, that is interesting, but that I was having a hard time naming. Her recent chapbook, Names Disguised, takes place in three parts that address madness, wealth, buried eggplant, urban development, modernization & overconsumption, and greed. Among other things. which ever way tossed & turned. swift thanks. thanks a lot. Do you see what I mean? Despite the elevated tone and sometimes abstract tendency of these poems, they are spoken by a gritty, grounded and deeply critical voice. These are thoroughly political poems. The first section, “Names Disguised” dreams of something fantastic, a world where “licorice profanities drip, fall” and “leaves are desirous / of election.” What I liked about this section was the way that, throughout its otherworld fabric, it uses the language of political unrest. One begins to imagine that the world of forgotten castles and ragged dead ivy that arises is actually our own America. These are poems born of necessary scrutiny. Scrutiny of how inequality and injustice are not only obvious: how they are arranged tightly even into our dreams and furniture. It’s a weird little book, and you’ll need time to dwell with it. Take the time, though. Sally McCallum lives in Tucson and studies French, Creative Writing and English at the University of Arizona. She is co-editor of the Volta Blog.